A menu served as part of the inaugural activities surrounding Obama’s re-election included a special cuvée made just for the occasion by California sparkling wine producer Korbel. The wine is listed on the menu as “Korbel Natural, Special Inaugural Cuvée Champagne, California.” (Champagne, California! Why haven’t I been there?) Now why on earth the President was being served Korbel at all is a question for the White House sommelier, but what really ruffled the French’s feathers is not the wine itself but how it was printed on the menu, according to Decanter.com. Korbel is actually allowed to use the word Champagne on its labels, because the 2006 agreement between the EU and the US, which bans American producers from using the word “Champagne,” did not apply retroactively. In other words, if you had been using the word “Champagne” to refer to the wine in your bottles prior to 2006, you could continue to do so. 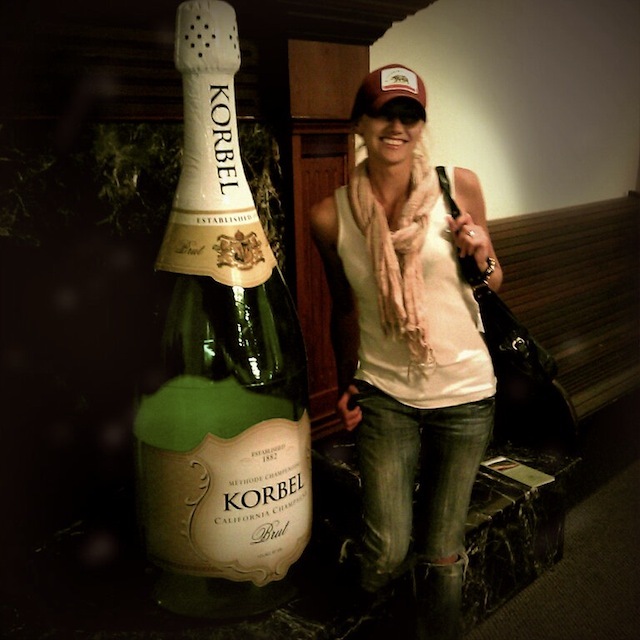 Many California producers chose not to use the word Champagne out of respect for the first and most famous sparkling wine region in the world, but Korbel evidently does not share that sentiment. The whole kerfuffle is as ridiculous as the original agreement, of course. The best way to avoid such confusion and conflict is probably to keep Korbel out of the White House altogether: a lesson we hope the administration has learned the hard way.